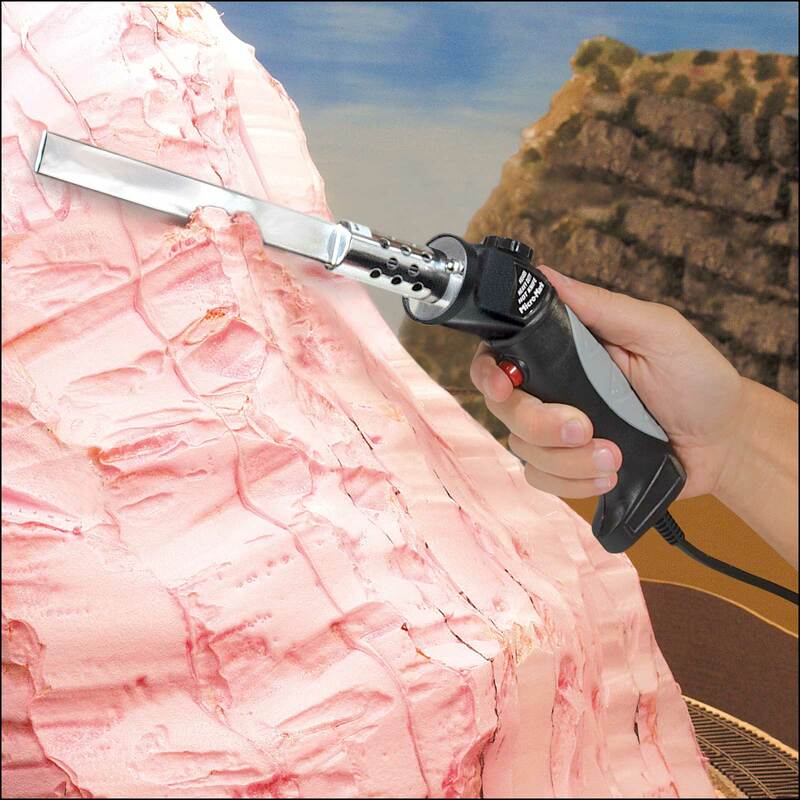 Nothing works harder for you than this electric Hot Knife for heavy-duty sculpting of foam scenery base materials. Just plug in the knife and press the button on the handle. 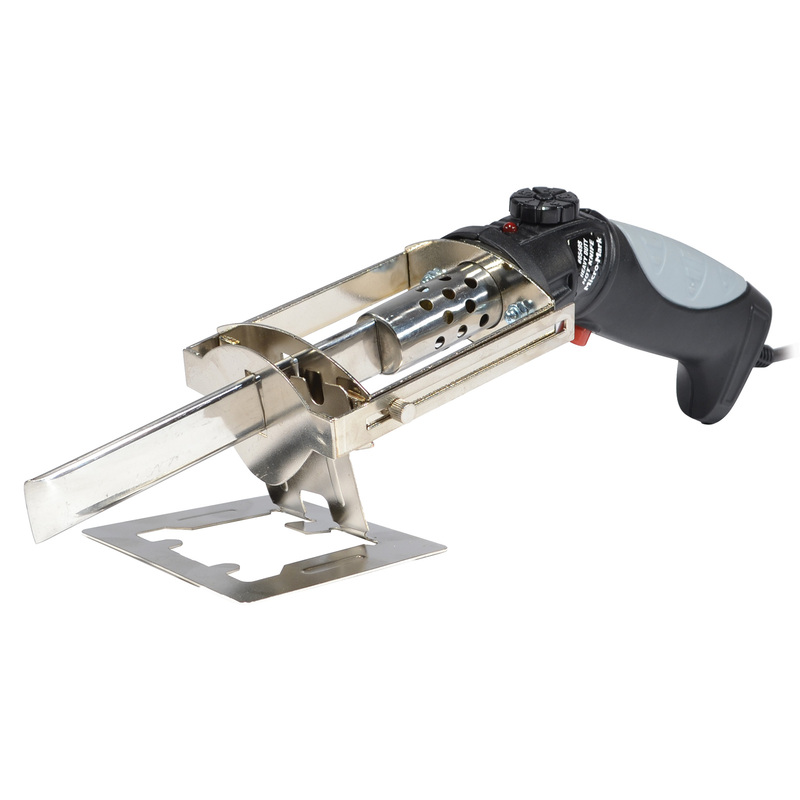 In seconds, the sharp 5-1/2 inch stainless steel blade is hot enough to slice right through styrene foam. Or, use the flat side of the blade for smoothing and shaping. Includes temperature control (approx 225 - 850 degrees F), comfort-grip handle, depth gauge, stand, and 6 foot power cord. 120vAC, 150 watts.